We’re off to see The Wizard! The wonderful Wizard of Oz. Or should we say the wonderful adaptations of Oz? The timeless classic The Wizard of Oz opened nationally in theaters seventy-seven years ago today. 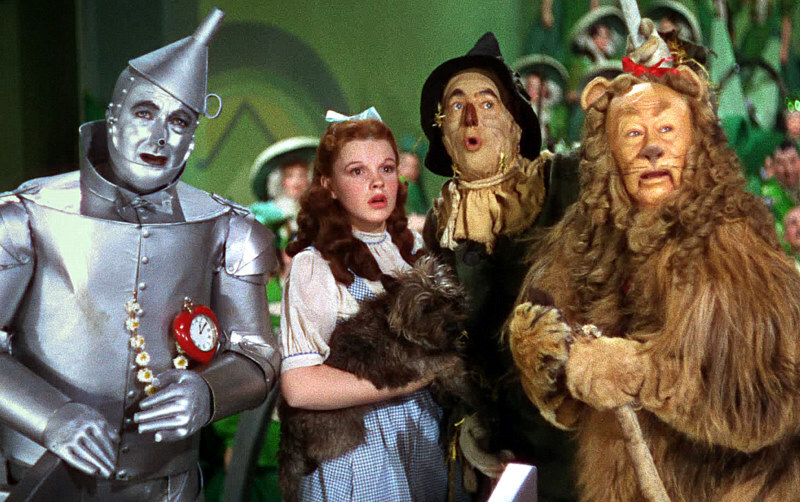 To celebrate this 1939 film and the L. Frank Baum novel it was based on, here are a few of our favorite film and TV adaptations of The Wizard of Oz. 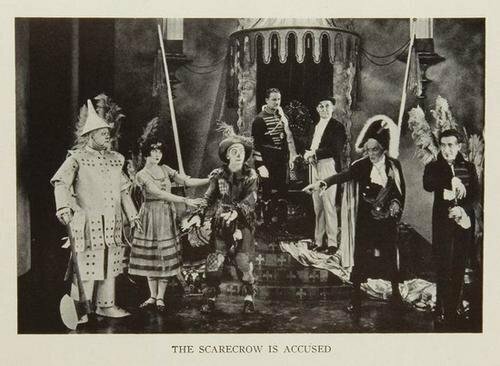 The first film in our lineup is the 1925 silent film written, directed by, and starring Larry Semon. In this predecessor to the 1939 Judy Garland vehicle, Semon portrays the central character – a farmhand disguised as a scarecrow. Already we can see that this movie’s plot is a drastic departure from the original source material. But wait! There’s more. In this version of the L. Frank Baum story, the Tin Man and Cowardly Lion are also disguises donned by farm hands rather than characters encountered in Dorothy’s travels. And – 91-year-old spoiler alert – the Tin Man is the villain. 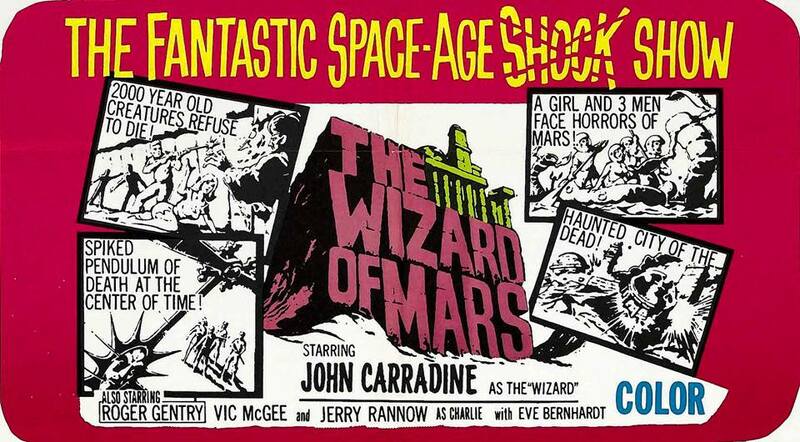 The Wizard of Mars is a low-budget sci-fi adaptation written and directed by stage magician David L. Hewitt. The film was made for an estimated $33,000 and filmed in Great Bason National Park in Nevada. Talk about an innovative use of resources. And if we didn’t get you with Oz in space, this retelling features The Wizard as the collective consciousness of all Martians. Arguably the most well known film on this list, The Wiz is a musical based on the 1974 Broadway show. The film features an all-Black cast, including Diana Ross as Dorothy and Michael Jackson as the Scarecrow. We’re dancing in our seats just thinking about this movie. While initially considered a commercial failure, The Wiz has gone on to become a cult classic, inspiring countless subsequent stage productions and The Wiz Live! on NBC last year. The Wizard of Oz is rife with science fiction adaptations and the Sci Fi Channel miniseries Tin Man is no exception. This contemporary continuation of the classic story features Zooey Deschanel as DG, a Kansas dwelling waitress struggling to fit in. When the storm sent to kill DG transports her to the Outer Zone (or O.Z. ), she encounters a wide array of characters including ex-law enforcement officer Wyatt Cain, the titular Tin Man. Released as a spiritual prequel to the 1939 MGM film we love so dearly, Oz The Great and Powerful tells the story of Oscar Diggs, a magician swept into the Land of Oz by – you guessed it – a tornado. While there, Diggs (played by James Franco) encounters three witches Theodora, Evanora, and Glinda (played by Mila Kunis, Rachel Weisz, and Michelle Williams, respectively). Set twenty years before the events of the classic film and novel, Oz The Great and Powerful seeks to chronicle not only the origin story of The Wizard himself, but also The Wicked Witches of the East and West.